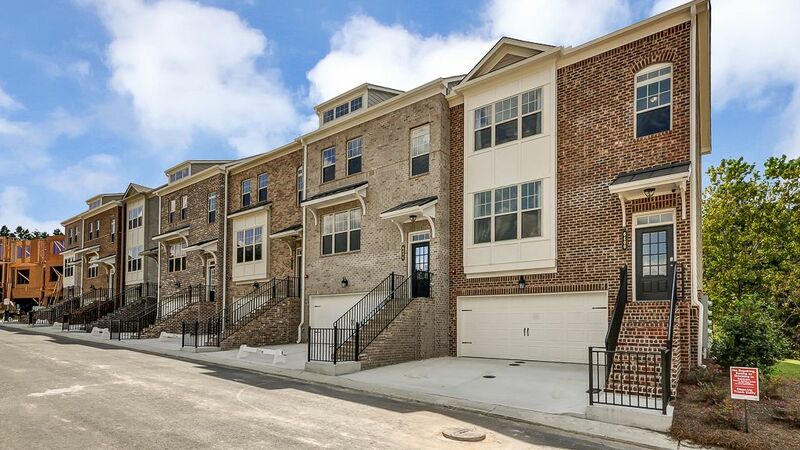 Taylor Morrison invites you to discover Brookside Lake Manor, an impressive collection of thoughtfully designed luxury townhomes in Smyrna with today’s best features and finishes. Here, residents are sure to enjoy their own private pool with cabana overlooking the community lake, sidewalk lined streets, plentiful green spaces and a dog park.Phase Two Coming Soon – Join Our VIP List Today! New townhomes in Phase Two of Brookside Lake Manor will offer the best in low-maintenance, lock-and-go living with spacious welcoming entrances that lead into kitchen and gathering room, ideal for entertaining family and friends. The gathering room will offer easy access to the deck, perfect for enjoying the outdoors. On the top floor, you’ll find the owner’s suite complete with spa bath including dual vanities, a tile shower and walk-in closet. Plus, there’s plenty of space for everyone to work or play with additional bedrooms that are great for a guest bedroom or chic home office.Join Our VIP ListCommunity Amenities at Brookside Lake ManorSparkling Pool with Cabana overlooking the Community LakePocket Parks and Green Spaces ThroughoutSidewalk Lined StreetsCommunity Dog ParkMinutes to Everywhere You Want to Be Brookside Lake Manor is just two miles from the Perimeter, putting you right in the middle of everything. You’re just a quick drive to Smyrna Market Village, West Village, Ivy Walk and Historic Vinings with an array of shopping and dining choices; minutes to the Silver Comet and Chattahoochee Cochran Shoals trails for a jog or bike ride; or a short drive to the Cumberland areas SunTrust Park and The Battery for a Braves Game or fun night out. Plus, commuting to Midtown, Downtown and the Airport is a breeze with Brookside Lake Manor’s convenient address. Get the Rate You Deserve with our Rate Roll Back on a 30-Year Mortgage Go ahead and start packing your boxes.